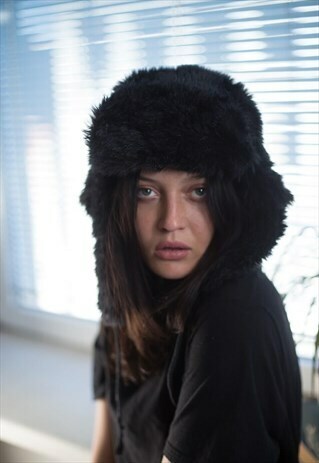 Vintage 80's black faux fur hat. Circumference - 24 inches. Please note this is a vintage item so minor signs of wear are expected.